Getting out in nature and creating space for rest & ritual fuels your connection to self and others. I partner with incredible wellness professionals and teachers leading transformative nutrition programs, yoga, meditation and personal development retreats. I support these retreats in various ways; photography, essential oil experiences, crystal/stone education, intention, affirmation, and gratitude practices. If you are a retreat guide, I would love to connect and collaborate. If you are looking to go on a retreat, keep looking below at my current retreat partners. In this retreat, we interweave many modalities--forrest yoga, yoga nidra, sound healing, acupuncture, hiking, healthy food & mineral soaking--so that we can bring our bodies, minds & spirits back into a place of alignment. As we are infinitely connected to all that surrounds us, the healing we embody on this retreat extends far beyond ourselves; the work we do here helps to nourish all of our relationships, including our relationship with the earth, and empowers our ability to give back. As we change our setting, our whole body resets. In an unknown environment, we can learn to be anew, to be our true selves. 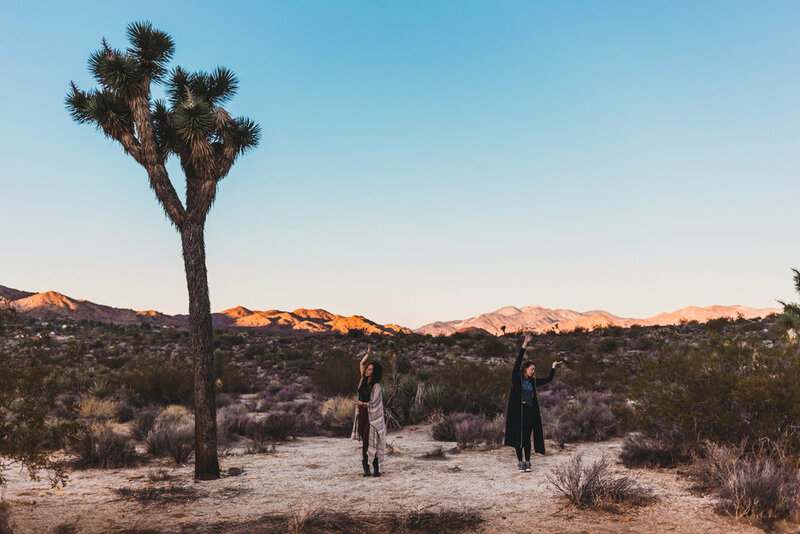 At Joshua Tree, we will join the healing arts and personal branding to birth for each one of us a new vision in our life and our work.